I have never been a dress-up kind of girl. I’m much happier in jeans and a comfy tee shirt. Maybe it was growing up in the 70’s, but I’ve always had a closet full of tee shirts with designs from vacations, concerts, teams, and of course, dogs. Since Bentley was a puppy, I have scoured the web for great Basset Hound designs. One of the best sites that I found is Righteous Hounds. We began following each other on Instagram. They always post the cutest shirts and photos. When I was offered a shirt for review, I was more than happy to say yes. My shirt is cute, it fits great, and the print is high quality. However, the best thing about this shirt is how incredibly soft the fabric feels. Righteous Hound was founded this year and offers unique designs for pet lovers. Their products are 100% Made in America, which is important. 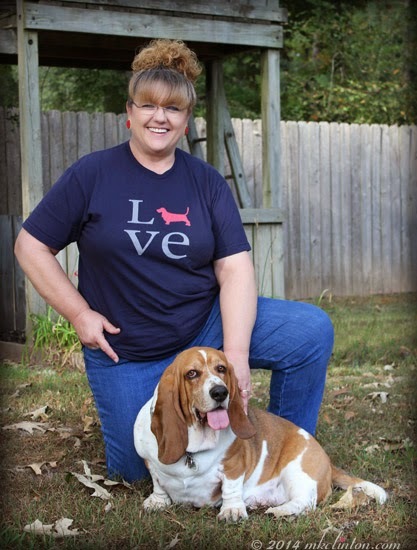 A number of Righteous Hound products feature rescue and pet adoptions, a cause that we all support. You will find over 50 different breeds including the top 20 breeds by AKC registration. If your favorite four-legged friend isn’t in the mix, you can start a petition on their Facebook. They add new breeds based on their customer’s demand. Until your breed is added, there is a large selection of non-specific designs to choose. Righteous Hound is offering one of my readers a FREE tee! You can enter via the Rafflecopter below. If your name is chosen, you’ll receive one item under $30 shipped to you in the USA or Canada. Not that you’d ever want to, but there are no returns on giveaways. 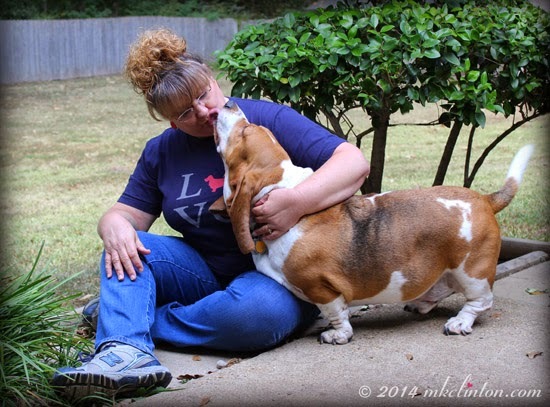 Barking from the Bayou received a Righteous Hound tee shirt in exchange for an honest review. There was no monetary compensation. We only agree to review products that we believe in and want to share with our audience. Righteous Hound is not responsible for the contents of this review. Love the shirt! Will check them out- thanks!! Me too! I love jeans and tshirts!! I'm going to go over and check the link out right this very minute!! Great review! And HELLO YOU!! I think this is the first pic I have seen of you!! Very cute pictures!! Great Review!! Love your t-shirt!! Great photos :-) I just recently heard about this company and have bookmarked their site for some Christmas shopping. Great photo. Love your t-shirt. Heyyyyy! Nice shirt!!!! Righteous hound rocks don't they??? I just love my husky shirt! Oh and BTW, I would "of course" like one of their other husky designs! Pawesome shirt!!! I also inherited the jeans/fun t-shirt wardrobe from the 70s!! THAT is a SUPERB Tee. Very cool! I see a Corgi shirt!! Lots of jeans and tees in this house too. I like the UNISEX HAPPY POODLE T-SHIRT. I'm a jeans and t-shirt kind of girl too! These look great....I love the rainbow golden retriever tee. Our mom is pretty low maintenance too! Must be a 70's thing! My human has a shirt that says "Collar Addict" on it, but my favorite is the one that says "Don't Hate Me Because My Dog Is Beautiful!" Cool shirt! I love my jeans and t-shirts! We have a closet bulging with t-shirts but we keep getting more. Pick me, pick me. Great stuff, congrats to the winner.